Warehouses are of great importance in modern logistics. Paramount - for redistribution traffic. It stores provide an opportunity to accumulate, concentrate freight, making transportation of expediency and efficiency. They allow you to constantly have on hand the right products, shipping them immediately, as soon as the order comes from the consumers. 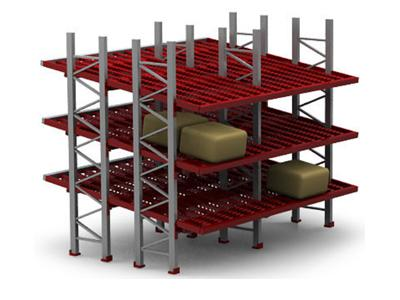 Storage of cargo carried on special devices (racks) for the storage of objects and materials, consisting of a multi-tiered decks, fixed on the racks. Modern shelves are oriented to minimize footprint and optimize access to the stored items and materials. 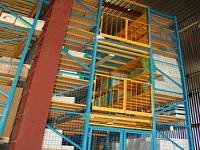 Pallet racks - a comfortable and functional design for placement of goods on pallets. Pallet shelving construction can be divided into front (Figure 1a) and depth (Fig. 1, d). Front considered more versatile and more comfortable when working with bystrooborachivaemoy products. 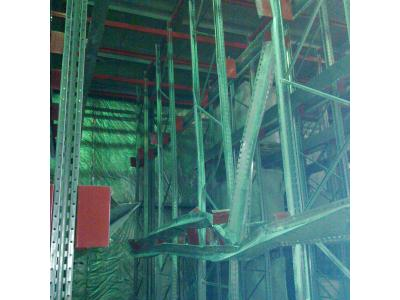 In addition, the racking for the warehouse can significantly improve the utilization of warehouse space. 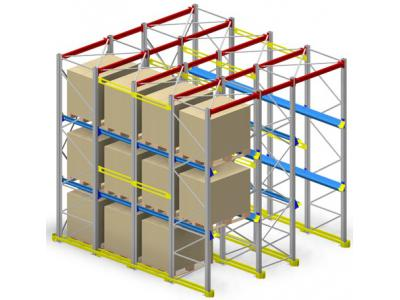 Deep racks are designed for circulation of similar goods and allow the maximum load warehouse. 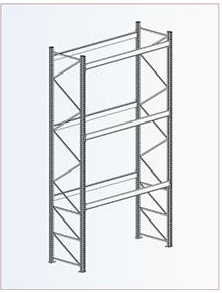 Shelving System - type racks (Figure 1, b. ), Used to store the piece and manual processing multinomenclature stock pieces of product: containers, boxes, etc.. Mobile shelves - design, designed for rooms with limited, requiring the organization system to classify its content. These shelving systems are ideal for a variety of archives and libraries. Cantilever racks are used for storage of oversized long loads. Similar loads placed by a special technique (Fig. 1c). 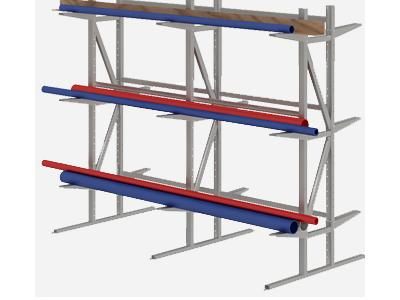 Gravitational shelving - a special type of pallet racks, equipped with special roller tracks inclined at a slight angle to the horizontal (3 - 5 degrees) to the pallet by gravity slid from the loading zone to the unloading zone (Figure 1, g.). 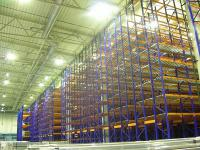 Mezzanines - equipment, which thanks to a multi-tiered structure makes maximum use of the entire area of the warehouse (Figure 1, e.). The relevance of strength calculations is now no one in doubt, and this fact is due to the needs of the market. 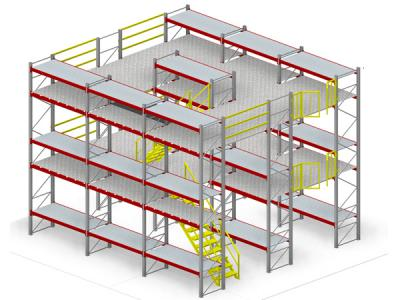 Cost-effective approach in the use of materials in the design of shelving structures on the one hand and ensuring the security and safety of the goods on the other hand makes the need for such calculations. a) The criterion of strength . When predetermined design loads, equivalent stresses arising in elements of construction must not exceed the design resistance of the material used. wherein 1.05 - reliability coefficient of the material (SP 16.13330.2011, Table 3). b) The criterion of rigidity . 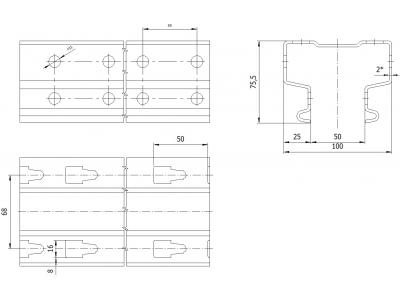 The maximum total displacement design must not exceed the permissible limit. In GOST 28766-90 Clause 3.5 states that the resilient deflection of flange bolts cargo gravity forces in their standard value should not exceed 1/200 of the span of the crossbar. c) stability criterion . 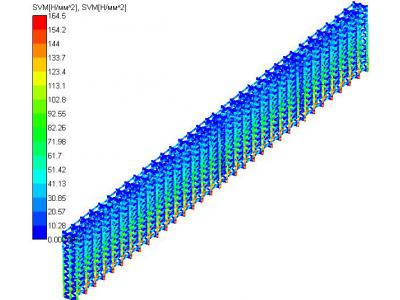 Stability idealized linear elastic frame model should be provided (K mouth ≥ 1.3 according SP 16.13330.2011, p. 4.3.2 with the p. 4.2.5, 4.2.6). Also, when calculating the racks must consider the effect of local effects such as a local buckling or a local buckling member. 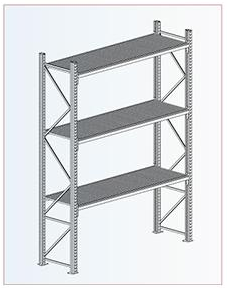 European Federation of Maintenance (European Maintenance Federation, FEM) in September 1995, finalized a regulatory document that describes the calculation, testing and design of metal storage racks. It systematized method of calculation rack designs and sets out requirements for the technological processes related to control of materials, manufacturing, assembly and installation of warehouse racking systems, specified safety and quality conditions which must necessarily be met by manufacturers and installers. This document - the norm FEM 10.2.02 - still has the character of preliminary recommendations, but most European countries it is already approved and adopted as the standard in force, which is the achievement of maximum security level warehouses. In turn, in Russia in 1992 was admitted to GOST 28766-90, establishing bases of calculation of steel structures stationary shelving. By strength, stability and rigidity of the stack of elements is performed according to the procedure SNP II-23-81 «design standards. Steel structures. " Regulatory and design loads adopted in accordance with SNIP 2.01.07-85 "Loads and effects." The calculation of these standards should include the calculation of VAT rack construction. 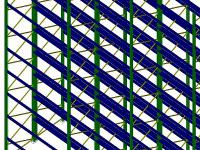 On one side of the rack structure can be represented by a simplified model of the rod and to calculate "Strength of Materials" means. 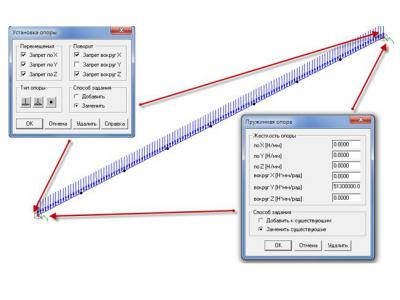 However, for complex analysis of the structure, which also includes the calculation of the total resistance, effects of local buckling, stability loss or wall of a shelf, can not do without the means of automated calculation with a software product. 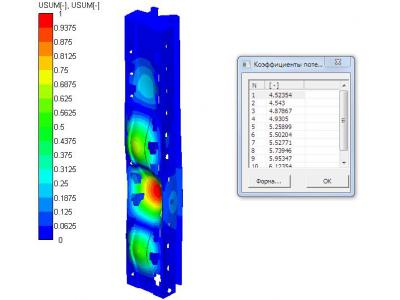 APMStructure3D- module calculating stress-strain state, stability, natural and forced oscillations of parts and constructions using finite element method. This module is part of the automated system for calculating and designing structures for industrial and civil construction APM Civil Engineering. 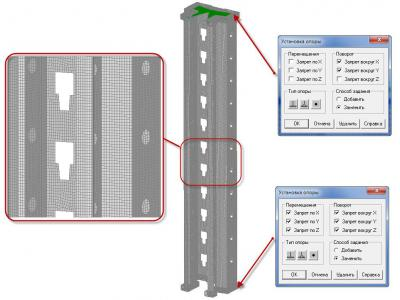 The system allows to carry out verification calculation rack designs and evaluation of the maximum load capacity and expertise of the collapses of all types of shelving. Shelving calculation can be carried out according to the Russian standards (GOST 28766-90, SNP II-23-81) and in accordance with European standards (FEM10.2.02). But there are some fundamental differences, lies in the approach to the calculation of the strength of the racks between them. These differences are described below. As seen from Table 1, the values ​​of reliability coefficients for loads in Euronorm higher than the values ​​of the same coefficients in Russian standards. Therefore, calculation according to European standards gives smaller values ​​of the safety factor and stability of the structure (Figure 2). Substantial interest are bendable thin-walled perforated profiles (Fig. 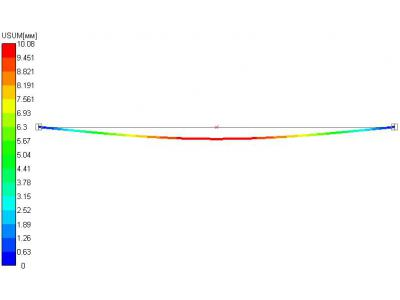 3) in which the local loss in stability or shelf in the wall comes to a total loss of stability in the most loaded cell. 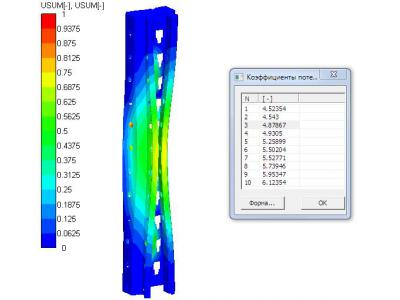 Checking the strength and stability of the pillars and beams with a similar cross-section made using geometrical characteristics of the effective cross-sectional area (A eff , I eff , Weff ) calculated excluding compressed portions of plates for which the local stability is not ensured. In determining the effective sectional area of the compressed and stretched flange beams must also consider the effect of shear lag. Accounting section of the effective area in the Russian standards is not provided. Take into account the effective cross-sectional area can be on the Eurocodes however, this method is very time-consuming manual calculations and for certain types of cross-sections, even impossible. One alternative, which allows to take into account local buckling phenomenon is modeling elements racks via the plates (Figure 4) and further stability analysis. According p. 9.2.4 EN15512 open thin-walled profiles of the compressive load exposed locally (topically) buckling and buckling of the cross sectional shape (Fig. 5). 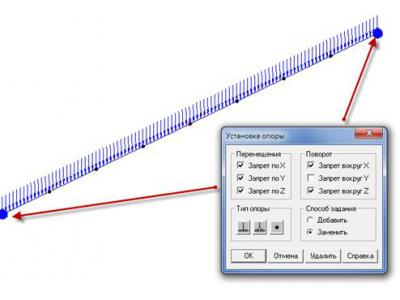 Calculation according to snip II-23-81 is held for a beam with a simple support. Reliability factor for load equal to 1.2. 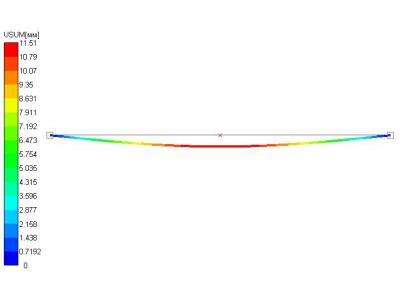 According EN15512 / FEM10.2.02 calculation is carried out with the pivot bearing (in this case given by the rigidity of the beam connection). Ratio of load reliability in this case is 1.4. Payment schemes are shown in Fig. 6. Calculation pallet beams in accordance with Euronorm shows a high safety factor and lower the total movement (Fig.8). The collapse of shelving - not uncommon. Typically, the owners of these warehouses PE tend not to advertise. 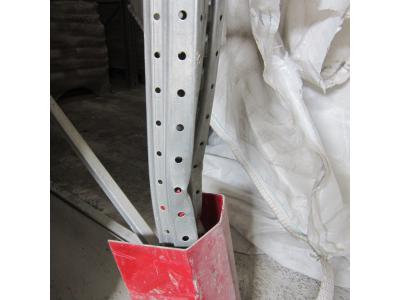 The cause of the collapse, as a rule, is a failure to comply with the requirements for the safe operation of the equipment rack. In most cases, the cause of the collapse of storage racks is a malfunction operators outdoor art. A less common cause of collapse is the rack overdrive. Here there are two options, either overload occurred by chance (incorrectly specified weight of the load, operator error or a manager, etc. ), or stated load capacity does not correspond to the actual. In such cases, a qualified independent examination that will reveal the cause of the incident. Fulfilling the requirements for the timely identification of damaged items and their storage equipment replacement, and for the control takzhetrebovaniya tightening of bolted connections, you can reduce the risk of collapse. Also, special attention should be paid to checking for certification shelf equipment during operation and the availability of test reports racking system (bearing capacity of inspection reports in accordance with the documentation of the supplier of racking systems). 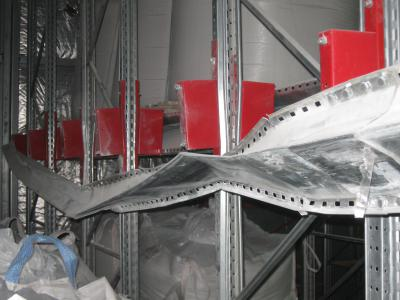 In recent years, cases of collapse of shelving increased considerably. This is due both to a substantial increase in storage capacity and, as a consequence, the volume of storage equipment and the obsolescence of equipment (in Russian operation racks occurs on average 3 - 8 years, usually without even a minimum of maintenance).